Bring the flavors of Thailand to your next BBQ with a fresh and easy-to-make-ahead Thai Coconut Rice Salad! 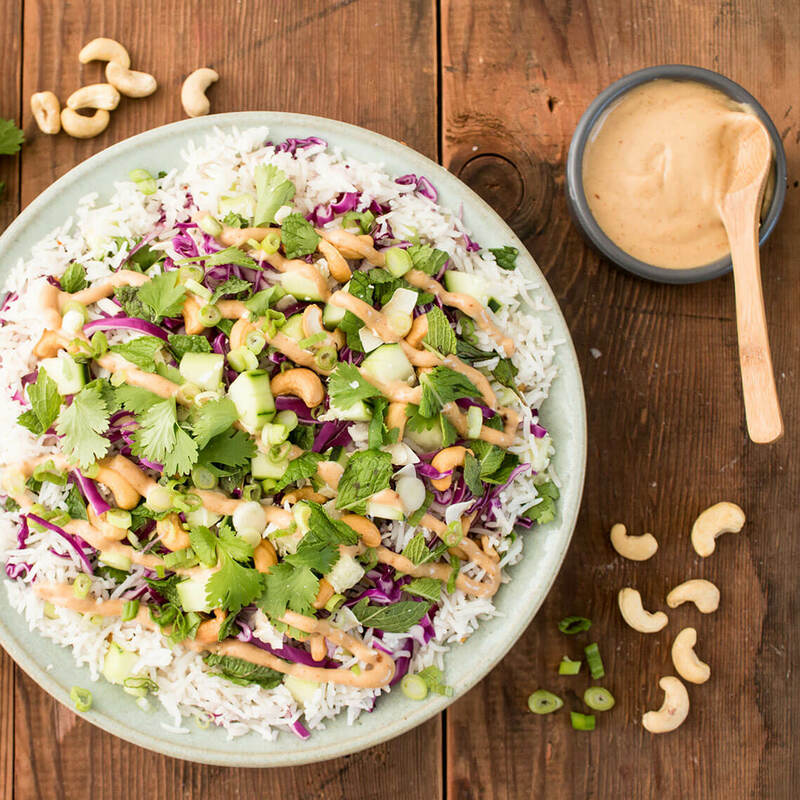 Crunchy cabbage, fresh cucumber, cashews and a sweet and spicy peanut dressing are sure to cool and satisfy. In a large saucepan combine rice and 4 cups water. 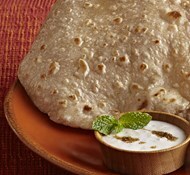 Bring to a boil over high heat, cover, reduce the heat to medium-low, and simmer until rice is tender, about 15 minutes. Remove from the heat and let sit 10 minutes. 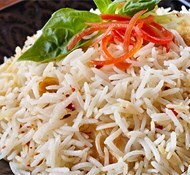 Uncover, fluff rice with a fork, and spread out on a baking sheet to cool completely. In a medium bowl whisk together lime juice, fish sauce or salt, sugar, garlic, and chiles or pepper flakes. Toss with the cooled rice. In a medium bowl whisk together peanut butter, coconut milk, lime juice, brown sugar, and salt. If needed, add a little more coconut milk to reach the desired consistency. Set aside. Toss rice in a large serving bowl with cucumber, cabbage, mint, cilantro, green onion, cashews, and coconut. Drizzle with peanut sauce and serve.